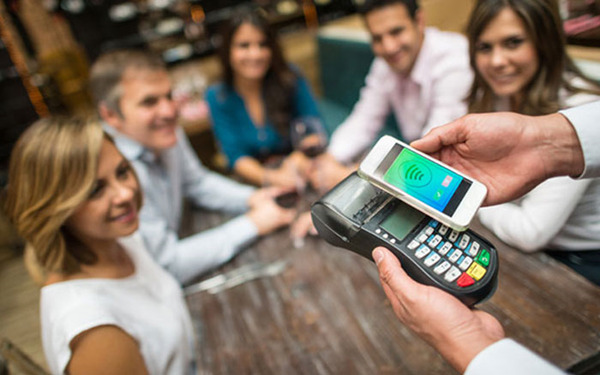 Blog Home > Apple Pay is Here! New Era Bank is now offering Apple Pay for iPhone 6 and 6s users! No more rummaging through a wallet or purse for a certain card, or even opening an app to pay for something. Now you can simply hold your iPhone up to a card reader with your finger on Touch ID or double-click your Home button when your phone is locked to access Wallet and complete your purchase. It’s easy to sign up for, and is a much easier way to handle cards you use every day. Apple Pay isn’t just faster- it’s a safer way to buy things. Usually when you make a purchase with a credit or debit card, you are using your card number to make that purchase. With Apple Pay, your card number is replaced by an encrypted, secured Device Account Number that is assigned only to you. This way, your card information isn’t shared by Apple or anyone else. When it comes time to pay, you have to use your Touch ID or passcode to complete the transaction- so no one else can access it. To sign up, go to your settings and select Wallet and Apple pay. After you scan the front of your card, or input your card numbers manually, Apple verifies your information. If everything checks out, you’re ready to start using Apple Pay! If you have any issues, we would be happy to help; just call us at (573) 783-3336. Rated 0.5 star by 1 people.